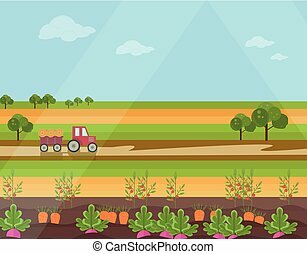 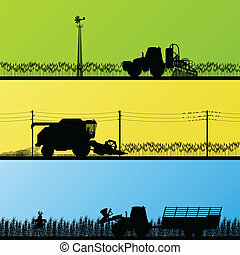 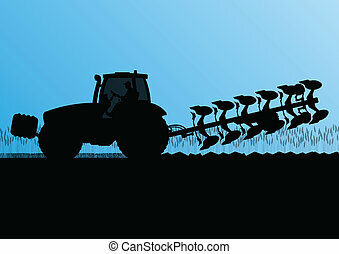 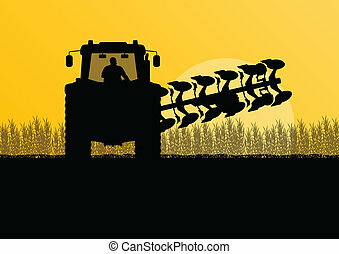 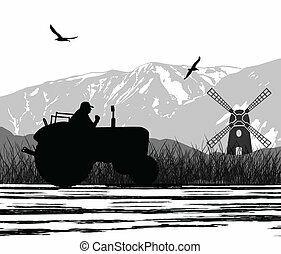 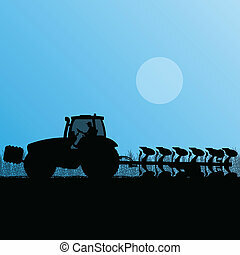 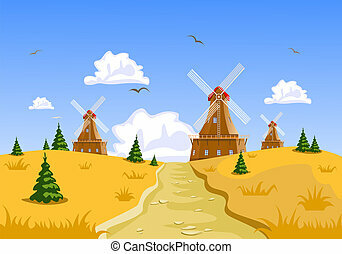 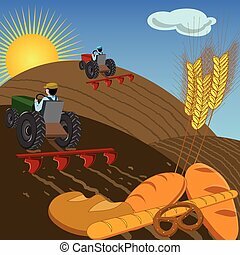 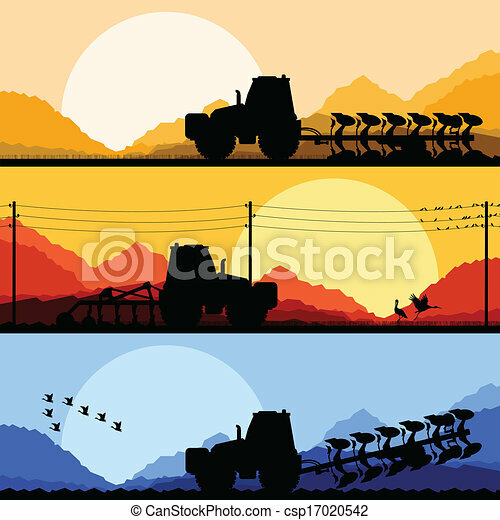 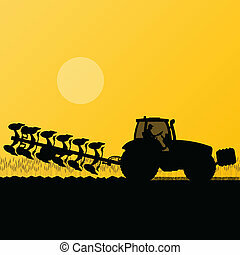 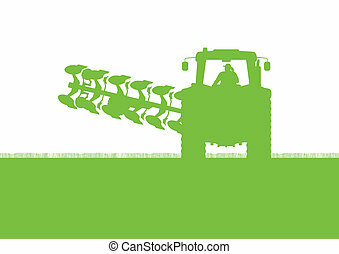 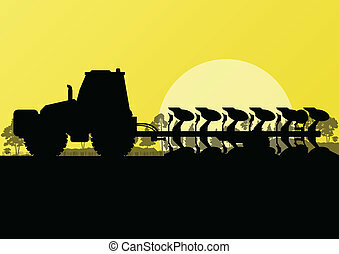 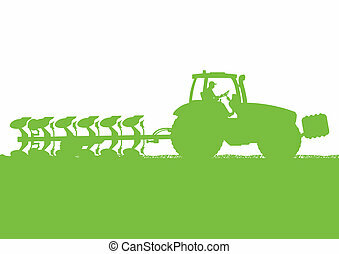 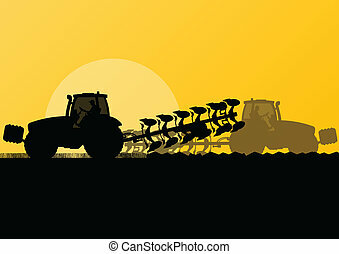 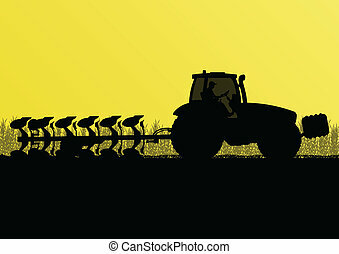 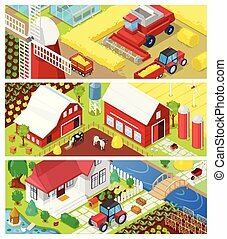 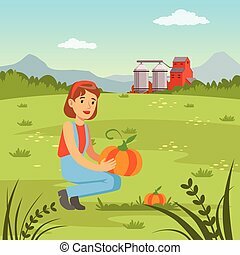 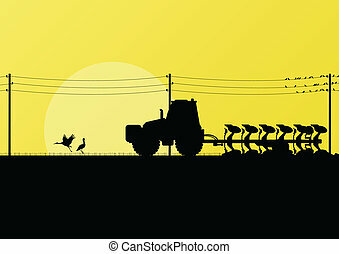 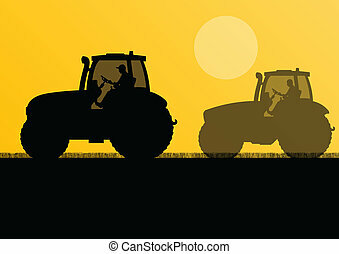 Agriculture tractors plowing the land in cultivated country fields landscape background illustration vector. 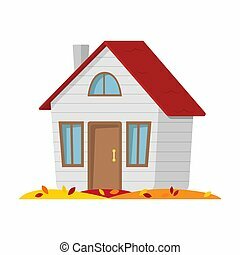 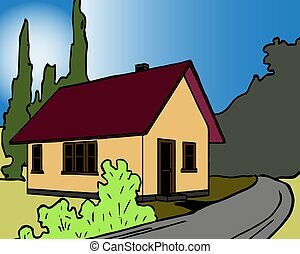 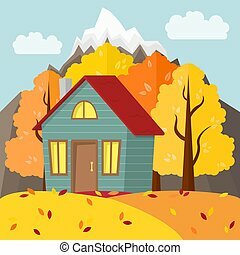 Vector autumn landscape. 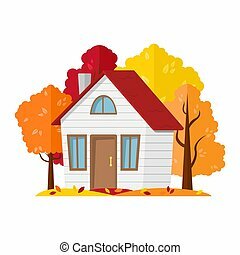 Country house in the autumn forest. 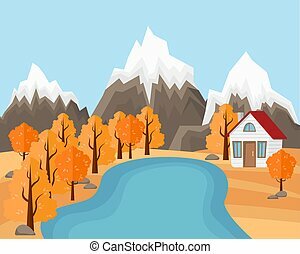 Vector autumn mountain landscape. 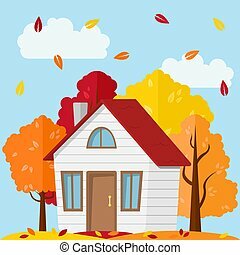 Country house in the autumn forest.